I get to know this restaurant by browsing through the internet and I found that most of the tourists love to visit this place. When I am on the taxi, the taxi driver indicates that Wey Wey Seafood is the most popular eating place for tourists. Well, I have made a good choice to settle my dinner at here. I head to here after shopping at BCS Mall. 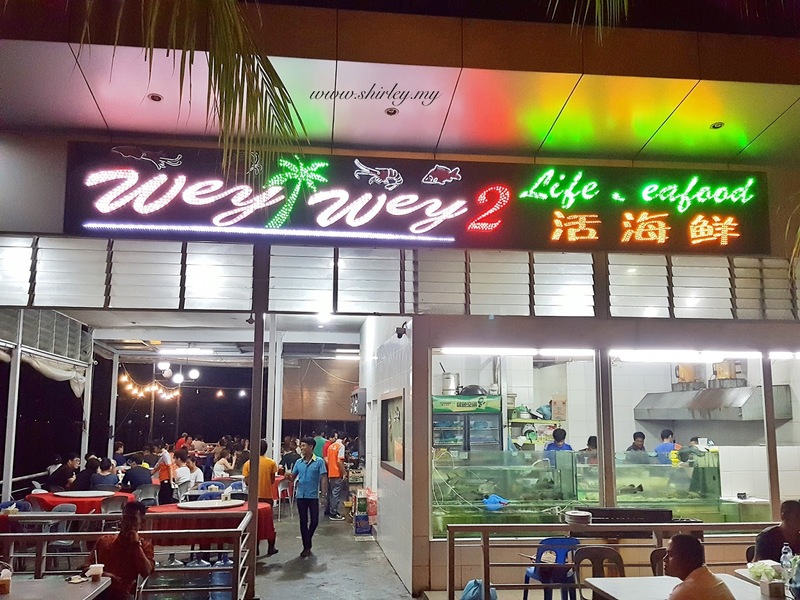 Well, I did not manage to snap picture of the restaurant because I am sitting facing to the restaurant beside Wey Wey 2. The environment looks so nice to dine in. 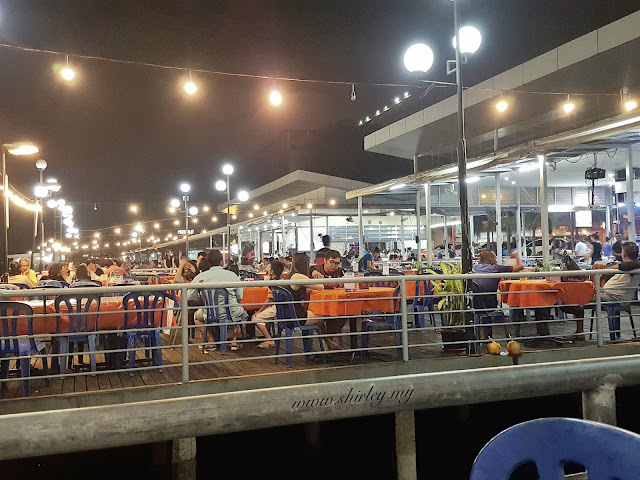 The restaurants are actually at the side of the river so it has little bit of the smell of the sea water, however you would get use to it later. 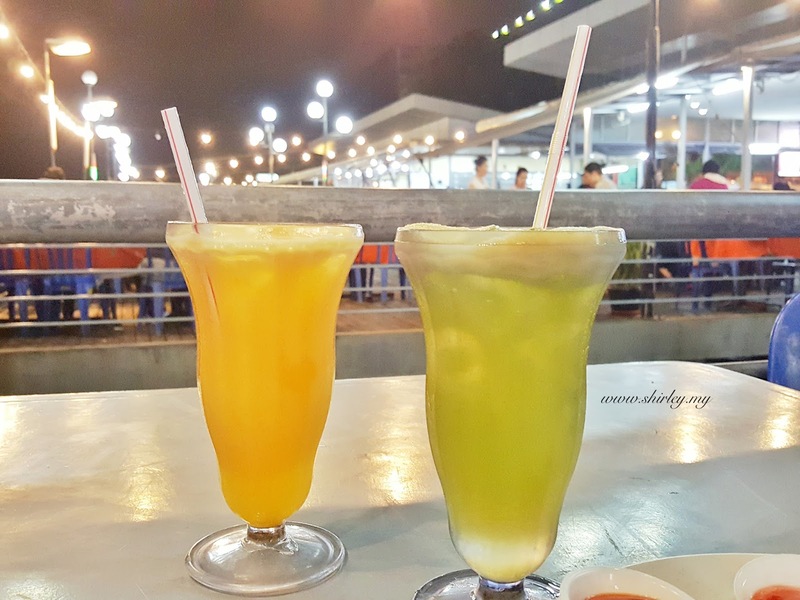 They have coconut drinks, juices, soft drinks and beers. I have ordered an apple juice and my boy has ordered an orange juice. I am so surprised that the menu does not indicate the price of the dishes. But no worries, I have done some research from the net that the price is cheap so don't worry and just order as much as you can eat. I feel like eating fish so I plan to order the kerapu steam HongKong. I think fish might be a bit high price compared to other dishes so I ask the waiter for the price before ordering. The waiter says it is at around IDR200,000. It's so cheap! Thus, I order it without having any thought! 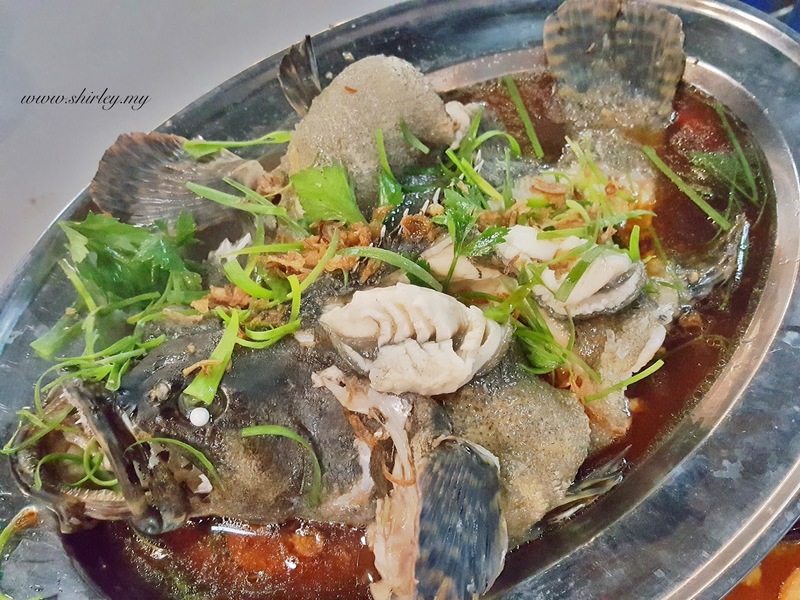 Kerapu Stem HongKong - The fish is fresh and the meat tastes nice and sweet. There are only two of us so we ask for small fish. The portion is just nice for two to three persons. 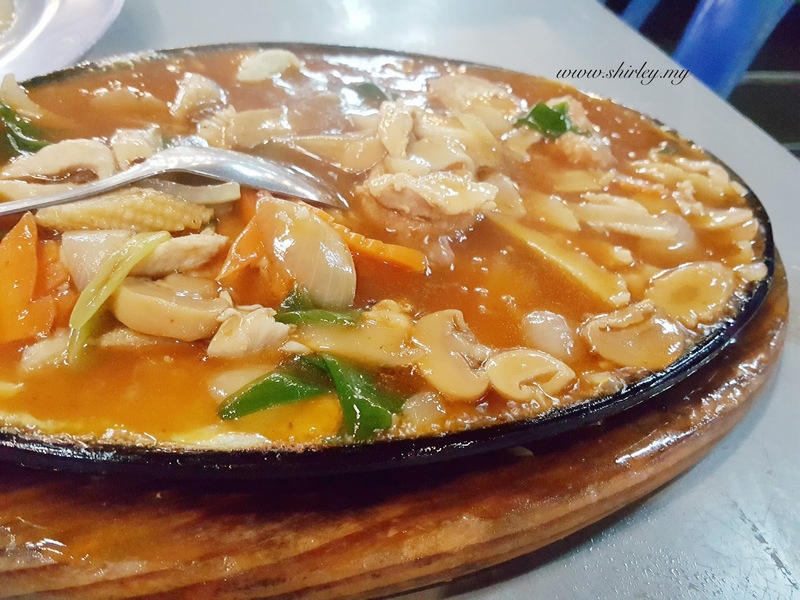 Teppan Tofu - It is a normal dish which we always have at any chinese restaurants out there. The only special thing is that there are eggs at the bottom of the tofu and broth. It tastes a bit salty but yet it is just nice to be eaten together with rice. 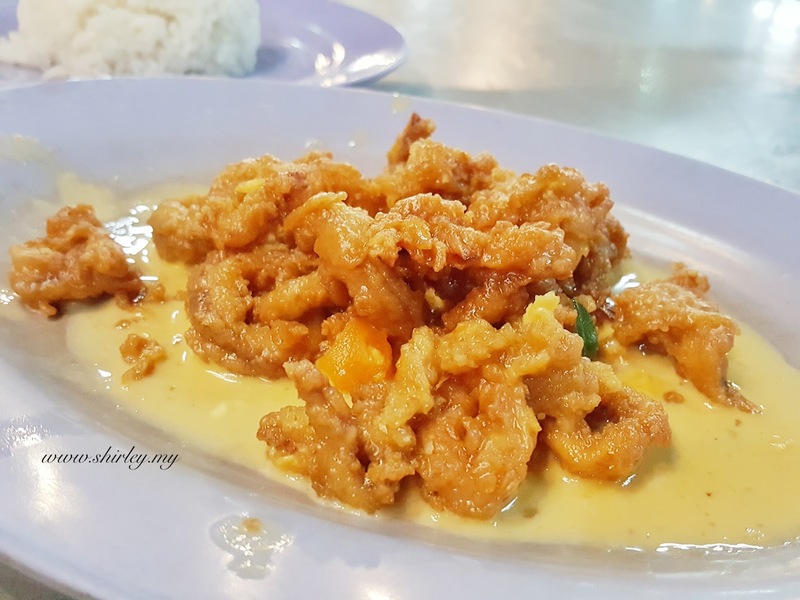 Sotong Telur Asin - This is the dish I like the most! The squid is fried with salted egg and you can see that there is watery salted egg sauce around the squid. 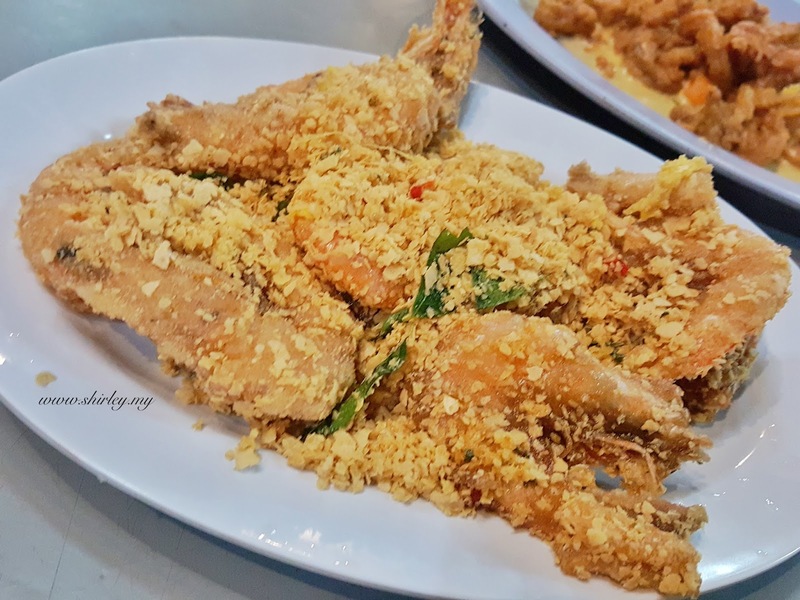 Udang Nestum - Prawns are fried with nestum and it is really delicious. It would taste better if it is cooked with the prawn's shell removed. Guess what, my dinner costs me IDR414,00 (RM126/SGD$42) in total (4 dishes + 2 bowl of rice + 4 drinks)! It is so cheap yet I have almost all the seafood dishes on the table. What to order: anything you like!